Gucci is one of the world's most famous, recognisable and prestigious leading luxury brands in the world – worn by a myriad of famous people including Grace Kelly, Jackie Kennedy and President John F. Kennedy. 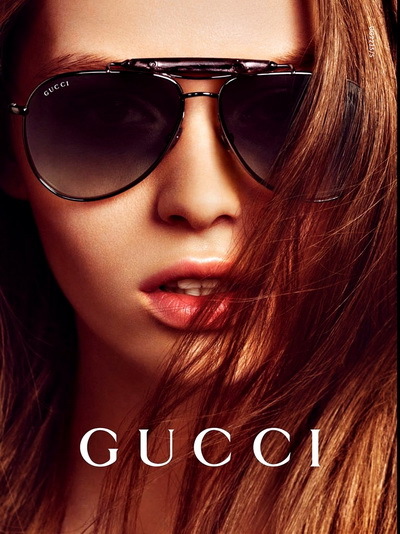 The Gucci eyewear collection is a perfect blend of Italian tradition and luxury with shapes and styles for men and women. All of the iconic style elements seen in Gucci's bags translate to their eyewear: bamboo, horsebit, GG logo, chain link and more. Gucci's attention to detail on frames, has never been surpassed and the Gucci eyewear fashion house consistently produces high-end designs.